aka: David Charles Waitman Tee Willy Shahan. D. C. Shahan and Ira Poling were baptized by Rev. 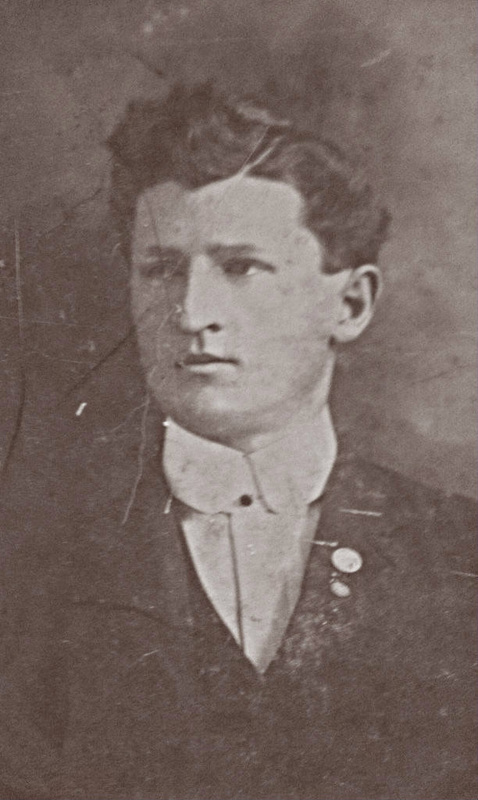 Emery Shahan at the age of 17, in 1897. Bull Run, West Virginia. David married Martha Roseanna Annon, April 4th, 1903 at the Shiloh Church (Tucker County) in West Virginia. Wedding was preformed by Brother, Rev. 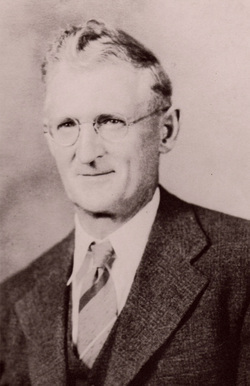 George Emery Shahan. 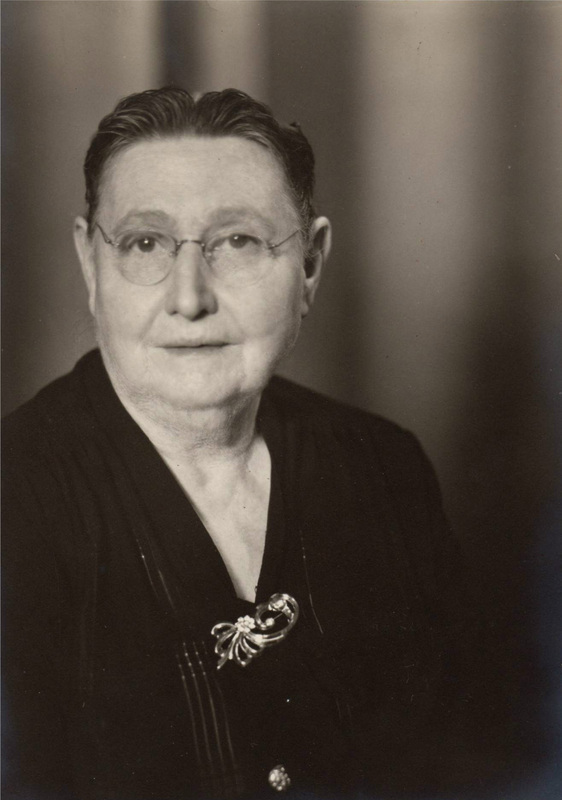 Martha Roseanna Annon-Shahan Born: October 24th, 1881 in Barber County West Virginia. Baptistized, German Baptist, in 1896 by Rev. John Burns. She would pass in 1971, on January 18th, in Greenville, Ohio. David and Martha were re-united in marriage at the Church of the Brethren in 1946. Union City, Ind. By Rev. Berkibile. Later moving to Greenville and relocating on the Studabaker Farm on the south edge of Greenville. A pre-victorian Greek Revivial brick home. The farm was located on a curve and one evening a car left the pavement and ventured into David's corn field. A gentleman came knocking at the door and asked if the car could remain there over-night? The man gave David some money for the damages, a sizeable amount for the depression. The car was loaded with bootleg whisky. Next morning... the car was missing and the incident, just a memory. The family soon discovered the old brick house had a bit of history of its own. Benny Shahan returned from a trip and brought back pecans for his younger siblings as a treat. Harry and Ira began hiding theirs from each other. Just when they thought all the pecans were gone, Harry remembered where he had stashed some. With his brother Ira’s assistance, he slipped over a wall down in the basement. There he remained, trapped. Their Father David had to tear down a section of the wall to retrieve his youngest son. In the room were the graves of the Studebakers, the original owners. The room was one of two that was discovered while the Shahan family resided there. Hidden rooms, part of the underground railroad. A third room was discovered when the current owners were remodeling, while removing a porch. It was rumored, that there was a secret underground passage that lead out to the creek. But, that was never found or confirmed. Greenville City Hall, Greenville Fire Station located to the right. Dayton - Greenville _ Union City trolley car also pictured. Gray Gables, Church Parrish Home located in the background to the left of City Hall. 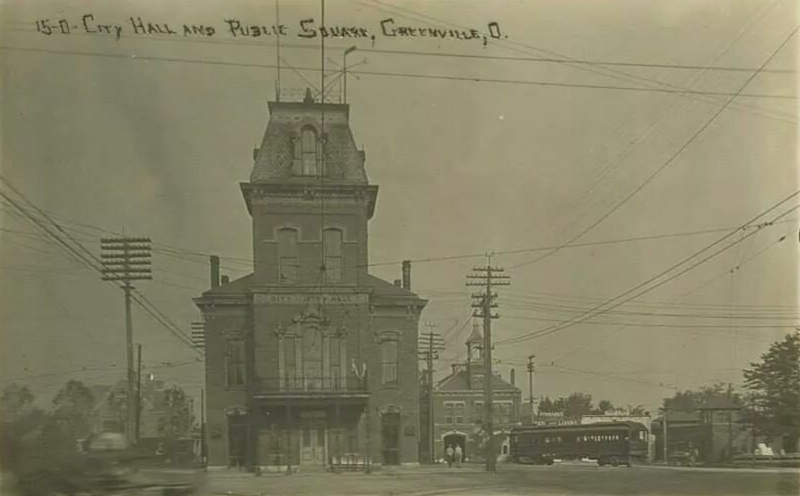 "Click" on the photo above for more historical pictures relating to Greenville, Ohio. The Annon's were joined in marriage on August 14th, 1859. * Martha Roseanna Annon-Shahan Born: October 24th, 1881 Passed: January 21st, 1971 aka: Martha Roseanna Paxton Irene Annon-Shahan. Benjamin Franklin and Sarah Fry-Annon (Center) Daughters, Sarah (left) and Martha (right). Born: January 20th, 1904 in Parsons, (Tucker Co.) West Virginia. Passed: June 3rd, 1997 in Greenville, Ohio. 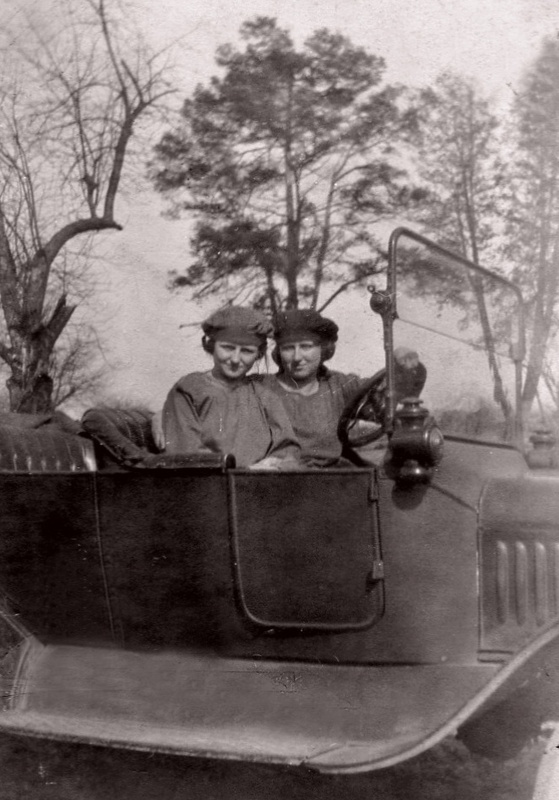 Benjamin (Benny or Bennie) Franklin Shahan married Gladys Mullens-Shahan June 05, 1929 in Corbin, Kentucky. 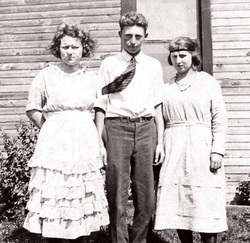 Later in life Benny dated Mildred Oswalt of Jaysville, Ohio. Benny was easy going, care free and loved people. And people loved him back. He was an out-doors-man. Loved to hunt and fish. He was also known as the best Auto Alignment man around. * Ida Leona (Lee) Shahan-Farmer, born July 07, 1930 in Greenville, Ohio Married Robert (Bob) Farmer. Good Samaritan Hospital in Dayton, Ohio. Buried: Monore Cemetery Married: JoAnne Gibbons. * Timothy (Tim) Allen Shahan Married: Shelli Farmer-Shahan on July 13th, 1991. Mildred and Benny Shahan never married, but they dated for many years. Buried: Abbottsville cemetery near Arcanum, Ohio. Passed: August 17, 1984 in Greenville, Ohio. Wayne Hospital, Greenville, Ohio.Buired: Abbottsville cemetery near Arcanum, Ohio. 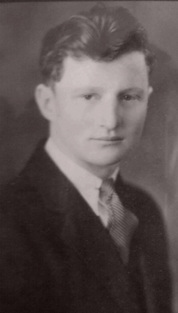 Dovie Bell Shahan-Shields married Lester Ledrew Shields on February 12th, 1927 in New Port, Kentucky, son of Crawford Shields and Libby Rench-Shields. 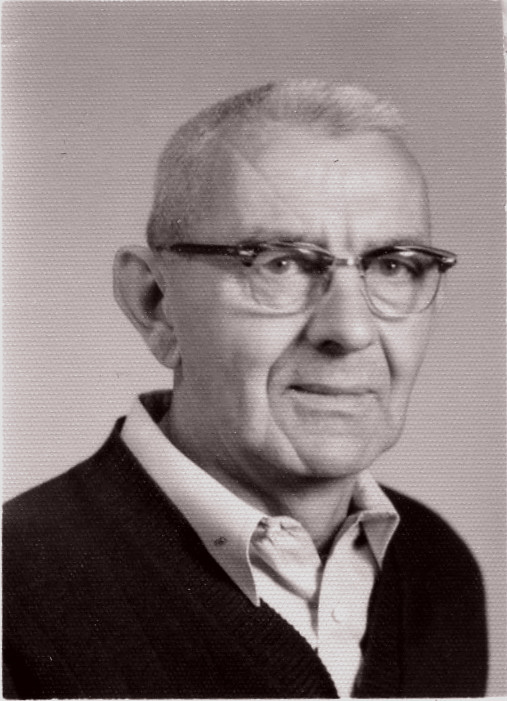 Lester passed prior on February 3rd, 1979, at the Brethren Home in Greenville, Ohio from a stroke. 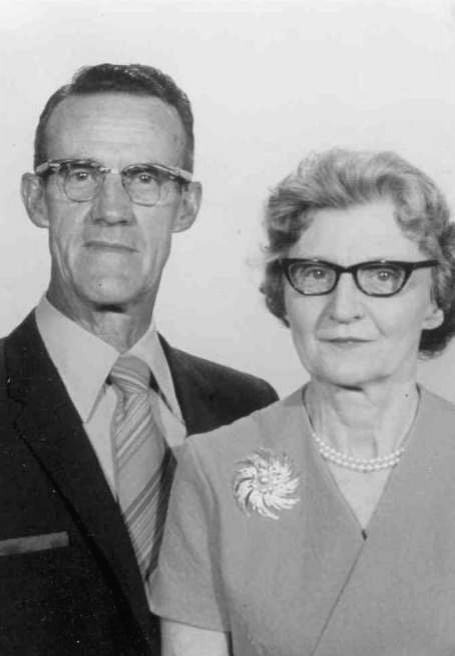 Lester and Dovie ran off to get married, but they returned to their own separate family homes and stayed secretly married until Dovie was pregnant with her first child, Betty. Seems Dovie's Father David did not approve of Lester all that much.... Time proved him wrong as they stayed happily married for 52 years until Lester's passing. Dovie was the sweetest, most caring individual, that loved everyone. She was the "giver" in the family. She never missed a birthday and would give you the last nickle she had if it would help you out. * Betty Eileen Shields, born November 27, 1927 in Greenville, Ohio. Betty passed April 16th, 2009. Buried: Royal Oak Memorial Gardens, Brookville, Ohio. worked for Royal Crown Cola and was on the Huber Heights Board of Education. * Peggy Shields-Turner-Hill B: March 17 Peggy married Chip Hill. 1:20PM at Rest Haven Nursing Home in Greenville, Ohio.Married to Donnalee born: 1929 passed: 1984 They had no children together. Passed: February 3rd, 1979, at the Brethren Home in Greenville, Ohio from a stroke. Born: March 3rd, 1907 in New Madison (Eldorado), Ohio. Passed: July 1st, 1989 in Darke County, Ohio. 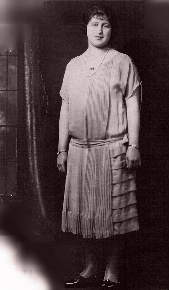 Hattie Grace Shahan-Harsh-Baker married Holtsberry (Holt) Floyd Harsh March 23, 1928 in Covington, Kentucky. After Holt passed on and she later married Rollin Baker. Hattie was the one with a "sense of business". 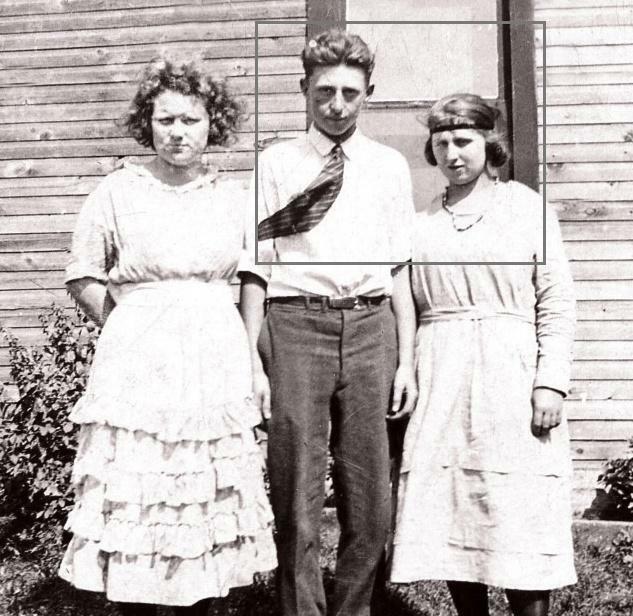 She had rentals, farmed, ran a butcher-shop at her and Rollin's farm. She also ran a little country store in Jaysville, Ohio. * Hattie Diane Harsh-Mong married Mike Mong of Greenville, Ohio. Front row: Bennie (Benjamin Franklin) Shahan, Martha Rosanna Shahan, Timmy (Tim), Holt, & Diana Harsh. (Holt would soon pass from cancer) 2nd row: Dovie Shields, Bessie Vanata, Mary Lou and Ira Shahan (Mary Lou is pregnent with David), Helen Shahan, Grace Harsh, & "Little" Hattie Vanata. 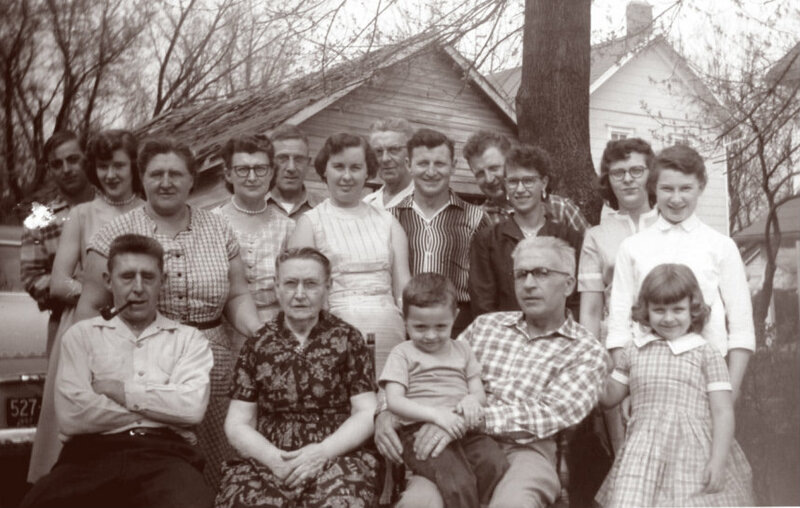 Back row: Dan & Martha Marrow, Authur Vanata (behind his wife Bessie), Lester Shields and Harry Shahan (Behind his wife Helen). Hattie Harsh took the picture. Born: August 27th, 1909 in Eldorado, Ohio. Passed: March 18th, 2003 at 5:00pm and Wayne Hospital in Greenville, Ohio. Buried: Abbottsville Cemetery in Darke Co., near Arcanum, Ohio. Ida Florence Shahan married Hoy Ray Shahan on September 30th, 1931 in Newport, Kentucky. Friday, July 13th, 2012 Age 78. They had no children. Parents: Richard Jefferson Shahan and Joannah Beavers. Born: March 28th, 1912 in Eldorado, Ohio. Passed: December 7th, 1994 in Greenville, Ohio. 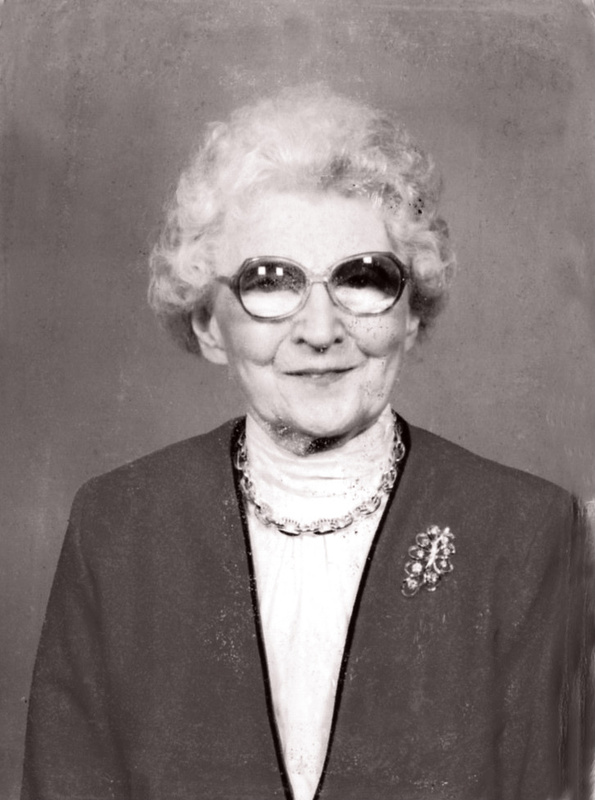 Bessie Blanche Shahan-Vanta married Arthur Dale Vanta July 14, 1932 in Newport, Kentucky. Bessie had the most beautiful copper red hair. And when silver was blended in her later years it only added to her beauty. Arthur was the "Meter Man" for the Greenville Police Department and drove around town in a three-wheeler Harley Davison, that is now on display at the Garst Museum in Greenville, Ohio. * Martha Alice Vanta-Marrow born April 26, 1937 in Greenville, Ohio. * Alexandra Leigh Morrow B: 01-28-1987 in Augusta, GA.
and Patrick "Mug" Mugridge (2) on Dec. 31st, 2007 in TN. Sept. 3rd, 1994 in Gatlinburg, TN. and Jean Ryan (2) on 11-20-1999 in Indianapolis, IN. Doug and Candace had no children. Doug and Jean also had no children. P: 11-07-2012 on Aug. 31st, 1963 at the United Methodist Church in Greenville, Ohio. Michele and Paul had no children. Michele married Terry Lee Cook (2) on September 1st, 1990 at the Greenville City Park, Greenville, Ohio. Born: December 15th, 1913 in Eldorado, Ohio. Passed: September 1st, 2002 at his farm in Greenville, Ohio. Buried: Snell Cemetery, Darke Co., Ohio near Hill Grove, Ohio. on April 12th, 1953 in Union City, Indiana. 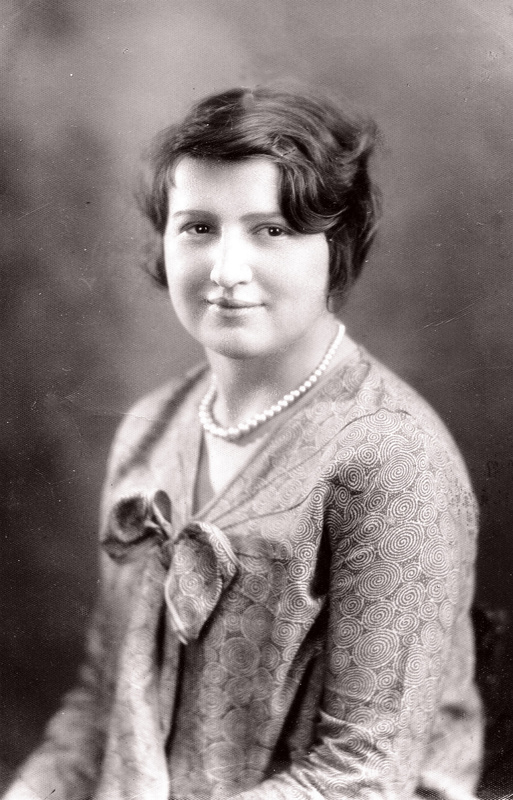 Daughter of Herry D. Benner and Ruby Bruss-Benner. Ira's marrage to Mary Lou wasn't greated with open arms by the family. Ira, being nineteen years her senior. But, it was the only marriage for the two of them. 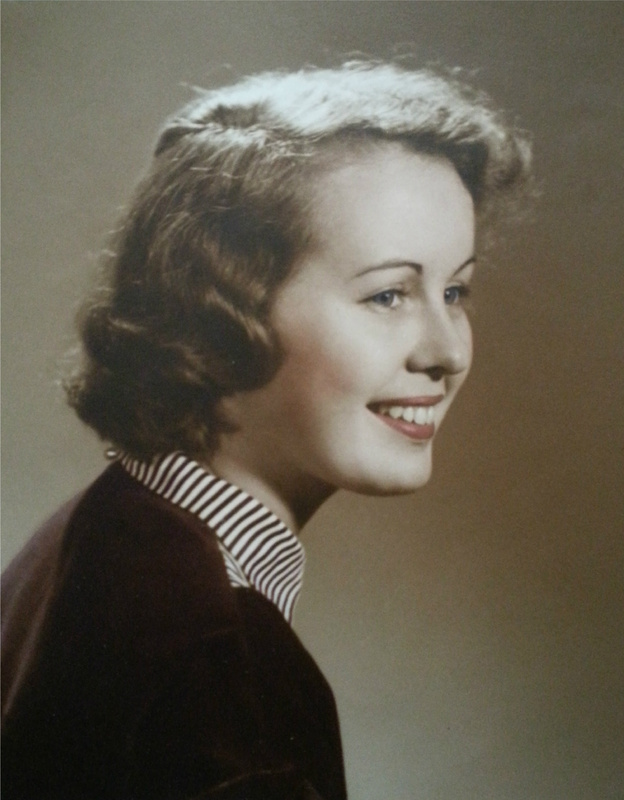 Mary would pass nearly six years after Ira, due to a broken heart. Buried: Snell Cemetery, near Union City, Indiana with husband Ira. Born: May 8th, 1918 in Lewisburg, Ohio. Harry Leroy Shahan married Helen Marquerite Parks-Shahan December 24, 1938 in Richmond, Indiana, daughter of William Parks and Mabel Caupp. Helen Passed: February 6th, 2009. * Harry Junior (J.R. or Jr.) Shahan, born February 08, 1945 in Mt. Gilead, Ohio. J.R. married Melinda Coppock. 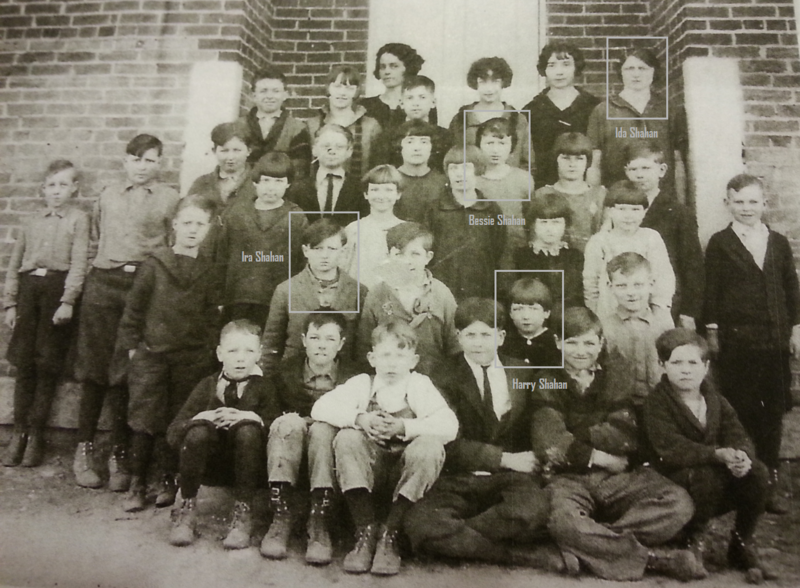 For a complete list of the names of each individual shown above, the BeeHive School picture, including the names of each child was donated to the Greenville, Ohio Public Library and also the Garst Museum. Just as time passes, so did the members of the Magnificent 7, along with their spouses. If one looked up the name / word, “Shahan” in the dictionary, the definition should be; “the love of family”. 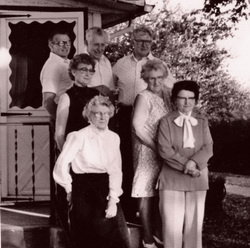 All seven family members had the highest regards and respect for their parents, Martha Rosanna and David C. Shahan. And they all were quick to tell you just how much they loved their parents and share stories of their childhood. This love and bond extended to each other as well. They would have big family gatherings, family reunions, or visit when one was not feeling well. There was no jealously or pettiness. They truly had each other’s backs. They were always there to lend a helping hand when needed. They were not rich by any means, but well respected in the community as being honest and hard-working individuals. And this sense of giving extended to everyone that they came into contact with. Friends were as important to them as family was. A special Thank You to my cousins Butch and Marilyn Shields for assistance and for many of the pictures posted on this website.